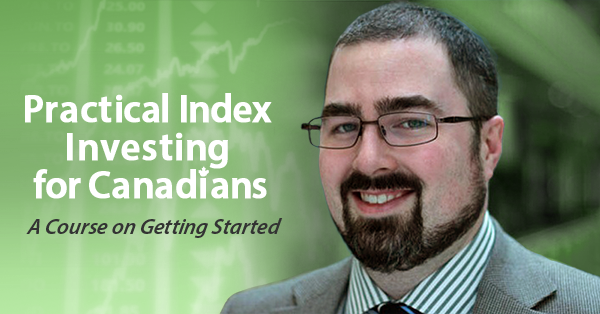 I’m down at the Canadian Personal Finance Conference this weekend, which means there will likely be a few first-time readers stopping by, so let me say “Welcome!” and give you a few places to start here, as there’s a lot of stuff in the archives here and it is not all gold. 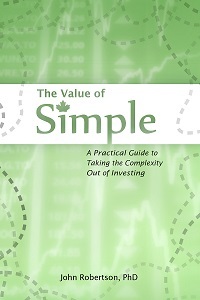 I’m the author of The Value of Simple: A Practical Guide to Taking the Complexity Out of Investing, a book that walks you through how to become a do-it-yourself investor using a simple, easy-to-follow index investing strategy. It’s focused on just solving that problem, specifically for Canadians, so it can focus down and get into a lot of detail, including step-by-step instructions with screenshots. I’m very proud of the book, and I’m happy (and secretly validated by the fact) that it has a lot of positive feedback and reviews — lots of people have been looking for a guide like this (even if they didn’t know it yet). After writing the book, I was still getting questions from readers looking for even more detail, so I created syllabus here — note that I had originally intended to complete the course roughly now (late November), but due to a family emergency am a few weeks behind full completion. Rent vs. Buy: the Investment Spreadsheet — note that in hindsight I want to re-write some of the text around this tool to make it easier to jump in cold, but the spreadsheet itself is still a powerful tool. Coming soon Now up: a CPP calculator for the new CPP rules. And a big thing that I’m very happy to be a part of is a tool spearheaded by Sandi Martin to compare the costs of robo-advisors in Canada. I also created a free directory of fee-only planners after MoneySense decided to ditch their popular directory. I trained as a scientist (PhD in Medical Biophysics), and have a day job as a science writer/editor in Toronto. For personal finance, I’ve written a lot, I give talks at the Toronto Public Library from time to time (including this Monday at the Eatonville Branch), and I just recently joined the Because Money team as the on-air producer for season 3. The blog covers a lot of ground. It is very old — the silly title dates back to an in-joke in high school. Sometimes I’m all serious and professional, spending a lot of time to craft a guide, infographic, or tool; sometimes I just whip out a rant or get totally silly. I hope you enjoy it.